Quietly and introspectively the changes are slowly, yet steadily taking place in your consciousness. You are now beginning to lose “time” in your daily life and, simultaneously, have brief experiences of being in the NOW. Within the NO-time of the NOW there are no expectations, disappointments, failures or even victories, as these are all time-bound concepts. You may briefly feel these concepts in the NOW, but they usually “live” in the past or present. For example, “expectations” live in the future, “disappointments” live in the past, “failure” is a fear that can haunt you from the past or frighten you in the future, and “victories” are something that you hold on to from the past or hope for the future. However, in the NOW there is no past or future. Life in the third dimension has trained you to live in the past or the future, but offers very few models of living in the NOW. Therefore, as you begin to experience what almost feels like a frozen moment of the NOW, it is difficult for 3D brain to grasp it. The confusion of the 3D brain is important for your Ascension process, as it reminds you to call on your Multidimensional SELF. Time is very attractive because it is familiar. Also, it is quite easy to become lost in the concept that something comes “before” or “after.” You 3D brain is accustomed to sequence. Without time, myriad realities co-exist within the NOW. However, these realities appear “separate” from each other when you experience them via your 3D consciousness. But, when we are outside of time, there is no past experiences or future expectations. All realities are inter-woven into the NOW of the ONE. 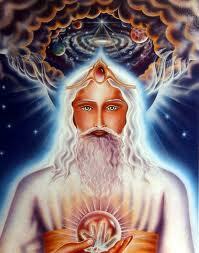 When your perceptions are limited to the third dimension, you are unable to perceive the ornate tapestry of the NOW. Fortunately, as your higher perceptions of clairaudience, clairvoyance and clairsentience come online via your higher states of consciousness, you become aware that there are many different dimensions, as well as parallel and alternate realities, all running within the same NOW. To be more accurate, all your realities are interwoven into the NOW of the ONE. When you begin to personally experience brief moments of being interwoven with the ONE, it can be quite confusing, amazing and breathtaking. Hence, you may need to create some “time” to become accustomed to this new version of reality. At first, you may remember that these many feelings, pictures, thoughts and experiences all occur simultaneously, but your 3D brain has no means through which you can share it with others. In other words, you are able to understand this 5D “Light language,” but you cannot speak it – yet. Thus, ability to understand a new language precedes your ability express that new language. In this case, we are speaking of the language of thoughtforms and energy fields. This form of language, just like Light language, comes in packages of information. Instead of a stream of sequential words in a sentence, then a paragraph, then a page, these messages come as a package of interwoven files. These files are not “read” in a separate, sequential manner. They are all “felt” within the NOW. Your Multidimensional mind is able to receive these files and feel them in this manner, but your 3D brain is unable to translate this information. Therefore, you are called upon to expand your consciousness into the fifth dimension so that you can read/feel the messages stored in your Multidimensional mind. Translating the energy packages of thoughtforms, energy fields, and Light language into your 3D language is usually best accomplished through storytelling, art, music and dance. The translation of these messages into daily life is one of the challenges of our representatives wearing Earth vessels within your NOW. Another difficult task for those returning to their Multidimensional Self is to re-define the concept of “Self.” While wearing a 3D Earth vessel, most of you consider your present incarnation as your “primary reality.” But, as your perceptions increasingly expand, you will increasingly feel a much deeper connection with higher dimensional realities. When you first become aware of your Multidimensional world, you often become very lonely for the higher dimensional realities that you are just beginning to remember. There is something strangely familiar about these “other realities” that flashes through your meditations and higher perceptions. These “higher realities,” as you may call them, feel so safe and comfortable in juxtaposition to the trials and hardships of the physical world. You want to go back to that place that you remember, back to that safety and Unconditional Love. Many of you are becoming impatient with the apparent slowness of your Ascension process, which is usually because you are thinking in terms of humanity instead of in terms of the planet. Planetary time is much different than human time, and many of you forgot that you came to help the planet ascend. In truth, your primary reality is not your human life, but your higher expressions of SELF. 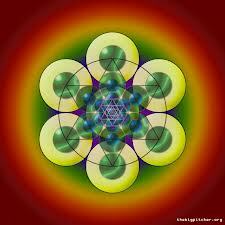 Creation starts in the core/center and moves out into the 3D matrix to be observed as a third dimensional reality. Fortunately, now that your consciousness is expanding, you are increasingly able to identify inter-dimensional energy fields and thoughtforms. With your ever-expanding consciousness, you are having moments of “bleed through” in which you perceive higher dimensional energy fields, simultaneously with 3D energy fields. When you attend to these higher dimensional energy fields and thoughtforms, while remaining aware of your Earth vessel, you are returning to your Multidimensional consciousness. The difference between an energy field and a thoughtform is that an energy field arises from all life and a thoughtform often arises from an individual or a group. Since individuality as you know it is a third dimensional experience, many thoughtforms are more third dimensional. 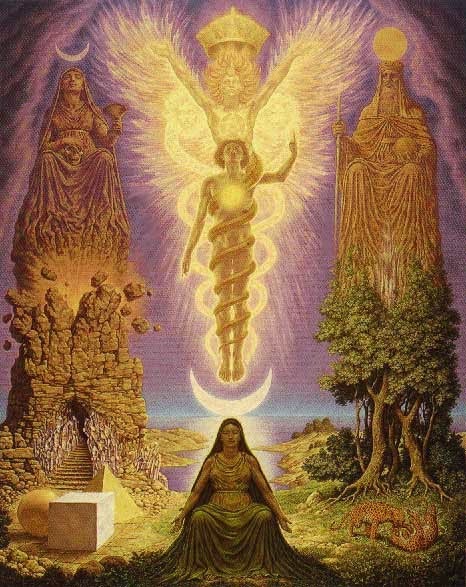 However, there are also collective thoughtforms and planetary thoughtforms, which are the beginnings of your return to Multidimensional consciousness and perceptions. We are joyous to announce that more and more of you are beginning to consciously perceive reality in this Multidimensional manner. Before, when you would suddenly “get a feeling,” you did not consider that it was a thoughtform, especially a Multidimensional thoughtform. 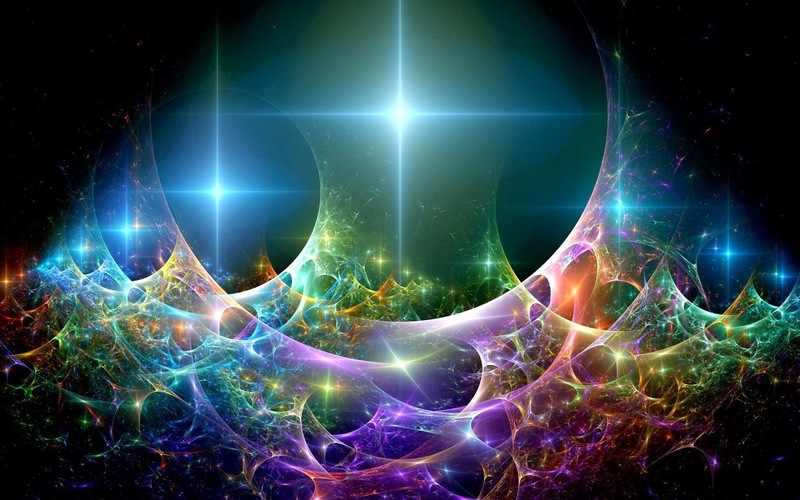 But now, because of the increased “dimensional leakage,” there are more Multidimensional thoughtforms floating through your reality awaiting manifestation. This situation is occurring because the veil of illusion between the 3rd/4th dimensions and the 5th dimension and beyond is becoming increasingly thin. Therefore, images, sounds, smells and feelings that disappear when you try to perceive them are entering your conscious awareness while you are relaxing into your Multidimensional SELF. Pay attention to these perceptions. Do not be worried about what others say about your process. You can share your experience with others, or you can keep it deep inside yourself. Either way, you will be returning to your own Multidimensional SELF. One of the tasks that you chose to accept before you took your human form was to be a “Keeper of the Land,” so that you could open as many portals as possible into the core of Gaia. 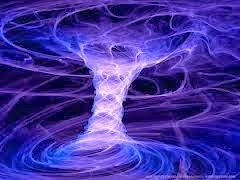 Once you open a portal, you will bless it with Unconditional Love and transmute it into it’s true Multidimensional form via the Violet Fire. When you open a portal, or portals, both into Gaia as well as into the higher dimensional worlds, you will increasingly receive a “knowing” about why you took your Earth vessel in this NOW. In other words, by opening your portal, you will regain conscious access to what you once thought of as “lost.” When this happens, you will want to visit some of your most amazing and instructive lifetimes. By opening your portal, your perception of “normal” will become Multidimensional. 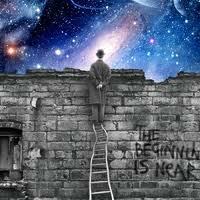 You are preparing to take a “quantum leap” from a third/fourth dimensional reality into a fifth dimensional reality. Within this 5D reality, everything exists in what your 3D Self would determine as NOW. However, the term NOW, which is “time to do it now” to your 3D consciousness, is transmuted into NOW, meaning there is NO separation into time. There are no polarities, individuals or events. All life flows together like the molecules of water flow to create a river, lake or ocean, and all molecules of air flow together to create the sky and the atmosphere. How will your 3D brain be able to embrace such a reality? Don’t worry about that question. Just as time, energy fields and thoughtforms are separated into polarities in the third dimension, they are united into the HERE and NOW in the fifth dimension and beyond. We ask that you remember your fifth dimensional ability to perceive energy fields and thoughtforms before they have lowered their resonance into your third dimension. In other words, trust your SELF when you have a “feeling” that an energy field or a thoughtform has come into your awareness. Instead of excusing them as “just an energy” or “just a thought,” remember that energy and thoughts are alive and have come into your awareness to give you a Multidimensional message. 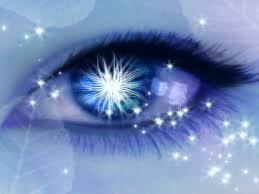 These Multidimensional messages come in energy packages that do not have words, spelling or physical characteristics. These packages of information originate in the fifth dimension and beyond and beckon you to “feel” the Unconditional Love of that message. We will remind you that there are also energy fields and thoughtforms that have originated in the third dimension. These messages will, at best, feel like human love, which is very enticing, or human fear, which is something which you will likely wish to avoid. Since third dimensional thoughtforms and energy fields are often just the lower frequency of a Multidimensional message, expand your consciousness to see if you can perceive the higher frequencies. Suzille remembers when she was a child that she so wanted to see the pretty mirror on her grandmothers sideboard, but she was too short and could only see her eyes and above. At first, you may feel that way about your higher dimensional messages, in that you can only perceive part of them. But don’t worry, as you “grow” you will be able to consciously experience higher and higher frequencies of the energy fields and thoughtforms that are entering your reality. As your Third Eye continues to open and your higher powers start moving into your daily life, you will need to discipline your Self to choose to consciously perceive these energy packages. Then you will know to which Multidimensional packages you will attend and which lower-dimensional packages you may want to Unconditionally Love and transmute with the Violet Fire. The reason for this discipline is because your own thoughtforms and energy fields will manifest faster and faster. Therefore, your lag time in-between creating and/or perceiving a thoughtform and the manifestation of that thoughtform is greatly diminished. 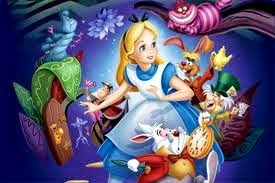 In fact, in the fifth dimension and beyond, there is NO time. Thus, what your think about and/or attend to becomes instantly manifest. This fact is same for loving or fearful thoughtforms/energy fields. Along with that gift or challenge, you will be pulling in initiations. Whenever your frequency is preparing to go to the next octave, you come to the ledge, the barrier, in-between the lower and higher frequencies. This “ledge” cannot resonate to the next higher frequency, so it patiently waits an Ascending Being to transmute it into a higher frequency. You are coming into the frequency in which all that has ever stood in the way of going to that next octave HAS to be addressed. Therefore, situations will occur in your life that will force or allow (depending on your state of consciousness) your own inner darkness/fear to come to the surface of your awareness so that it can consciously be transmuted and Loved free. It is very helpful to be able to discern the two different feelings, so that when you get to the “It’s time to clean house,” then you DON’T BLAME YOURSELF. The feeling of “OK, I did it again. I need to remember to refuse to participate in that reality, send it Unconditional Love and blaze it with the Violet Fire,” reminds you that you were not paying attention to your Self. This process of release is SO important, because this letting go is an important component of Ascension! In fact, Ascension is a process of letting go. You have to LET GO of everything physical, every single thing. Everything that is unfinished, everything that you wanted, EVERYTHING! It’s not fun, it’s not easy, but it’s vital, and it IS part of the process. Do NOT judge your Self by thinking, “Oh no, how did I do this to myself. I have to just stop…” YOU DIDN’T DO THIS! It is not your “fault.” Your ego Self is getting a deep cleaning, so that YOU can get more connected to your Multidimensional SELF. Thank you, dear brave volunteers to Ascending Earth. 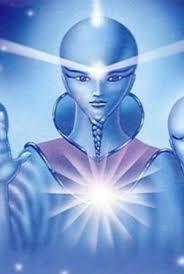 We, your higher dimensional Selves and members of your Mothership, salute you. Keep up the good work! And come Home to visit as often as possible. Remember, you are “working” even while you sleep. That is unless you come home to the Ship to visit us. How is your Process Going?